All patients are seen by appointment only. Appointment times reflect the health issues provided to the receptionist at the time your appointment is scheduled (e.g. is the visit for acne, wart treatment, total skin examination, a surgical procedure or a consultation regarding a specific skin concern). We make every effort to see you at your scheduled time. Lengthy delays most often result from patients asking for additional time to address issues other than those originally scheduled. Please be considerate of how this may impact others whose appointments follow yours. If there are multiple dermatologic concerns, which need to be addressed, you may be asked to schedule a follow up appointment so that adequate time can be allocated for each problem. 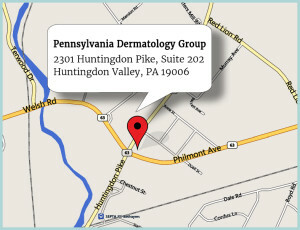 Anytime you suspect you may arrive late for your appointment, please call to inform us as much in advance as possible. If you are more than 15 minutes late, it will be at the discretion of the front staff and providers to determine if there will be adequate time to see you without impacting patients whose appointments follow yours. We certainly take traffic and weather conditions into consideration, and we will always try to accommodate as we all run late sometimes. Those patients that need to reschedule their appointment will incur a cancellation fee. We reserve the right not to reschedule patients who repeatedly miss appointments.